There may not have even one percent possibility of you walking the ramp, participating in a beauty pageant, or entering the silver screen, and yet you spend thousands every month on skin care cosmetics to have a flawless, shiny, and crystal clear skin. Why? If I may ask, I’m going to get a cross-eyes from you, isn’t it? Because no ornament can add a character, charm, and grace to your persona as much as your skin does. But then why visit cosmetic shops and spas every month, when the best solution lies in your kitchen. Yes, every kitchen has tomatoes. And preparing a tomato face mask isn’t a daunting task. Wound not you want to figure out the easiest way to flawless and swanky skin? Diminishes the fine lines and keeps the skin firm. Cleanses and Exfoliates the skin. Cut the Oil From the Skin. Vitamin A, C, E, B-Vitamins, Potassium, magnesium, calcium, and Iron are the basic properties tomatoes contain. Tomatoes are full of minerals and vitamins essential for healthy skin. Add olive oil and lemon juice and mix it well. If you were trying a lot of skin whitening face creams, it is now high time you switched to a natural skin whitening remedy. Preparation Time: 10 minutes of preparation time, 15 minutes of application time. The baking soda works as a natural bleach helping you brighten your skin. The tomato along with baking soda removes the dead skin cells and clears out your skin. Best time to Apply: During the night. Do not apply the mask it too much irritation occurs. Do not go into direct sunlight after applying the mask. Moisturize your skin well after the mask is removed. Turmeric is known to be one man army for any kind of problems human body faces, especially skin. It removes scars and spots, improves the completion, and protects the skin. While tomato, having anti-tanning and anti-aging properties, soothes and hydrates the skin. Preparation Time: Preparation time: 2 minutes, Application time: 15 minutes. Turmeric has antibiotic, antiseptic, antibacterial properties which ensure killing the germs and free radicals of the skin. While tomato cleanses the skin and reduces blemishes and dark spots with anti-tanning properties. Keep the old towel in your lap as the mixture may drip. wear old clothes as turmeric is strong in color. You can also massage the mixture in a circular motion. Preparation Time: 5 minutes of preparation time, 15 minutes of application time. With the increase in pollution and heat, it is very necessary to offer your skin some coolness and take the dirt out. Tomato takes away the dirt and brightens the skin. 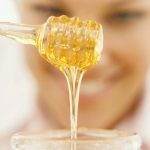 The honey tends to remove the bacteria from the skin and clears the pores. Best time to Apply: Any time of the day, especially when returned to the home. Tips: Blend the tomato and then pour it through a mesh strainer. This will make turn the tomato into a perfect puree and easy to apply. Lemon contains citric acid, which has antibacterial properties that help kill germs on skin. Tomato, on the other hand, smoothens the rough skin and eliminates blemishes and dark spots. Preparation Time: For preparation 3 minutes, For application 15 minutes. How it works: Lemon is a natural astringent and a toner, which cleans and tightens pores and lightens the tone. While tomato fights free radicals and equalizes the skin. Best time to Apply: Any time of the day, especially when you are free. Instead of blending tomato, extract the pulp. Extract the fresh lemon juice instead of packed or used. Steaming before applying the paste would help clean skin effectively. Preparation Time: 5 minutes preparation time, 10 minutes application time. How it works: Using the yogurt and sugar granules serves the best tan removal scrub. This will help in removing the tan and dead skin perfectly. The tomato along with it brightens the skin. Tips: Use a tomato that isn’t too squeezy. This will allow the yogurt to stay on the tomato and allow easy scrubbing without the yogurt falling down. Refresh and rejuvenate your oily skin and ensure to reduce the oil with cucumber and tomato mask. It will tighten the pores, hydrate the skin, and bring back the previous smoothness. Preparation Time: Preparation time: 5 minutes, Application time: 17 minutes. Cucumber has antioxidant properties and contains moisture due to 95% water. Hence, it nourishes the skin and cleans. It reduces inflammation and dilutes the impact of sunburn. The skin lightening properties lighten the flaws on the skin and make it more fluffy. Best time to Apply: Any time of the day, especially in the morning. The face mask may drip, so wear old clothes. 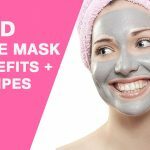 You can store extra face mask for three days in the fridge. Ideally, the face mask should have a temperature close to room temperature for effectiveness. Preparation Time: 10 minutes preparation time, 15 minutes application time. The oatmeal helps in tightening the skin and along with tomato removes the fine lines and dirt in the skin. The lemon cleans the pores and allows the mask to penetrate. Therefore, giving the brighten and tighten skin. Tips: Smoothen the powder as much possible, Do not try to leave any granules. Gram flour has been used for skin for ages because it nourishes the skin, reduces wrinkles, and brings the glow back. At the same time, the tomato will act as a cleansing agent to ensure gram flour can be effective. Preparation Time: Preparation time: 5 minutes, Application time: 20 minutes. Gram flour is known to attack free radicals. It also removes tan and eliminates oiliness on the skin. It moisturizes too along with honey to get the shine and glow back to its previous state. Tomato, at the same time, protects skin against free radicals and damages. Best time to Apply: Any time of the day, mostly during the afternoon. You can also squeeze tomato to extract its pulp. Do steaming before applying the mask for better penetration. Do not rinse face with warm water. Banana is a very skin smoothening ingredient. The rough skin due to pollution and dirt will all be removed using the tomato and banana face mask. Preparation Time: 10 minutes preparation time, 25 minutes application time. How it works: The three ingredients together tighten your skin and remove the dead skin and squeeze out the excess oil in the skin. Best time to Apply: During the morning. Leave no lumps in the mask. The paste is going to be a thick one. You can also make the paste into a dough, however, make it a little thin so that you can easily apply on your skin. Entering the kitchen is no less than a miracle as all the miraculous ingredients lie there. This fruit (yeah, the tomato is a fruit!) is no less than a super food. It protects against skin damage, tightens the pores, brings the glow back, reduces the wrinkles, enhances the collagen level and promotes elastin production in the skin. In short, in tomato, you have a perfect elixir for the skin. Try one of the masks we have brought here for you and share your experience with us. Preparing a tomato face mask isn't a daunting task. Wound not you want to figure out the easiest way to flawless and swanky skin?